Nungalinya College in Darwin is a combined churches training college for Indigenous Australians. The College trains men and women for leadership roles in churches and communities by exploring the Bible and Christian faith contextually. Students are trained to understand and participate healthily in community life while strengthening and celebrating Indigenous identity. Nungalinya is an Aboriginal word used by the local Larrakia people. The word refers to Old Man Rock, a reef lying off Casuarina Beach that was a place of learning for young men. The Larrakia people suggested the College use Nungalinya as its name to reflect this, and that Christ is the rock of the Christian life. Jim and Natalie and their family moved to Darwin in October 2017. Jim took up the position as Property Manager at Nungalinya College in October 2017. 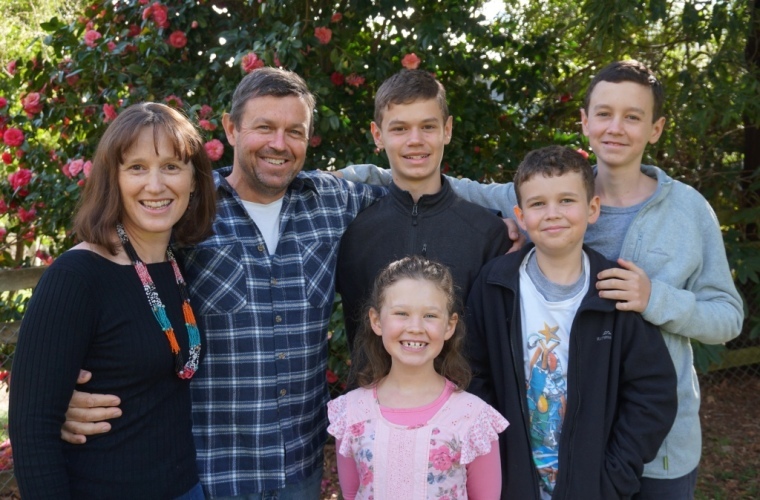 The Watsons have a heart for ministry to Indigenous people and look forward to continuing that in this new role. The Watsons previously served for 13 years as BCA Co-Workers in Kununurra, Western Australia. Jim worked two days a week at the local school among at-risk students and three days teaching construction at the local TAFE. He shared his faith and had a pastoral role in the lives of many young adults in Kununurra. Pray for Natalie as she continues her re-registration into Occupational Therapy. Pray also that our family can adjust well to Natalie re-joining the workforce.